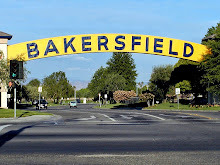 * ... BRC: The Bakersfield Racquet Club is holding an open house barbecue Thursday afternoon to reintroduce the place to old and new members. The club, struggling with an aging and declining membership and trying to redefine itself as more than a tennis club, is on a drive to gain new members. Lots of changes there, including the departure of longtime club pro Jeff Hedberg. The open house starts at 6 p.m.
* ... BAD FORM: A young man is served a free glass of water at the Starbucks at The Marketplace, uses the restroom and then runs out the door after grabbing the tip jar. What happened next was good form: customers pitched in and refilled the tip jar. * ... 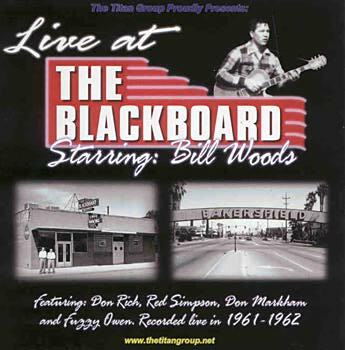 BLACKBOARD: Tommy Hays, one of the last living members of the great musicians who created The Bakersfield Sound, wrote to share a memory or two of the old Blackboard bar. "There is some confusion regarding previous location of the Blackboard. The building located where Floyd's used be on Chester was similar to an Indian tepee on a large scale: all one room in a circle. 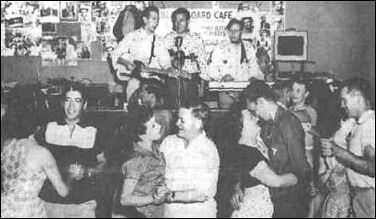 However, I remember it as The Tex's Barrel House which the business later moved to the Garces Circle and I played my first 'union' engagement there back in 1947. I had been told I needed to join the musicians union which I did. They sent me out on this gig; the leader did not pay me the required $10.50 scale and also took the tip jar as a leader's fee. Of course I complained to the union and was told to attend the meetings and not vote for the admission of this man (I forgot his name). I attended three monthly meetinsg in which he did not show. I missed the fourth meeting and even though there was a filed complaint, he was voted in. I still hold the grudge against the musicians union. The union no longer exists and we were transferred to the Fresno branch. I am one of the few remaining Bakersfield Sound guys that were active in that era." * ... MORE BLACKBOARD: And speaking of the Blackboard, local architect Wilson Call remembers when the original Blackboard was heavily damaged in the 1952 earthquake and had to be razed. It was replaced with a framed stucco building that stood until it too was demolished in 2001. How does he know? He was the architect. At the time he said it was owned by Joe Lima and Frank Zabaleta. * ... GRASSHOPPER: An earlier reader who commented on a bar called the Green Grasshopper brought this correction: "I remember the Green Grasshopper, but in my memory it was called Billy the Blue Grasshopper," wrote another reader. 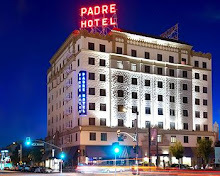 "Almost directly across the street from Mexicali downtown, and yes next to the canal. I believe Harvey Hall was the bouncer/owner, always smiling and kind and he kept us safe. I loved to dance and didn't miss a weekend there. There was a bar where a hot teenage dancer could buy Cokes and other soft drinks. I also remember dancing to Ike and Tina Turner." * ... MORE MEMORIES: Another reader, Roger Bailey, said this about the Blue Grasshopper: "I used to gig there years and years ago. 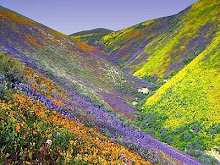 It was named after a song by a group called The Spats out of LA. The song was called 'Billy was a blue grass a blue grass hopper. 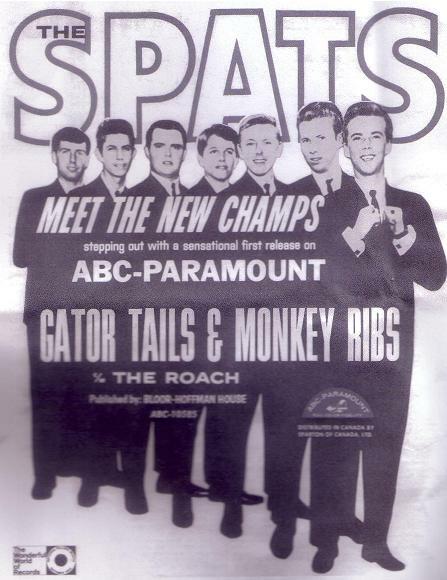 They had another novelty song called 'Gator Tails and Monkey Ribs.'" 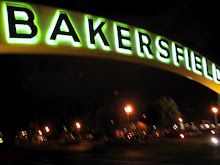 * ... BAKERSFIELDISM: Ron Froehlich says you may be a Bakersfield old timer if you remember when the county dump was located at the corner of Brimhall and Jewetta. A caretaker's house was located near the location where Fresh and Easy is today.